Michael is a Relationship Manager with 25 years of professional investment and capital markets experience. Prior to joining CPWM, Michael spent 19 years as a Founding Partner and Senior Investment Committee member at The Hedge Fund, Steelhead Partners. Prior to Steelhead, Michael also served as Vice President at Ragen MacKenzie, and as a Financial Analyst within a multi-generational Family Office. Michael holds the Series 65 license. 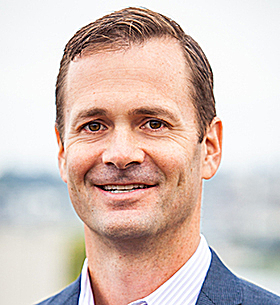 Michael earned a bachelor&apos;s degree in Finance from Seattle University, followed by a master of business administration (MBA) degree, with an emphasis in Finance and Information Technology. He serves as the coach/manager for Bellevue United FC and the coach of the Bellevue Wolverine Girls Lacrosse Team. He serves on the boards of the Overlake Hospital Foundation and Intuitive-X. Michael enjoys spending time with his wife and two children on their collective quest to hike in each of the country&apos;s National Parks.